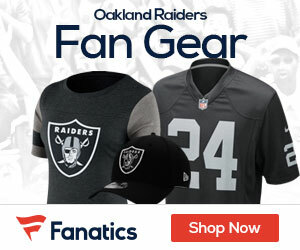 The Raiders, knowing they need wide out help, today took player off the scrap heap and are reportedly looking at another. 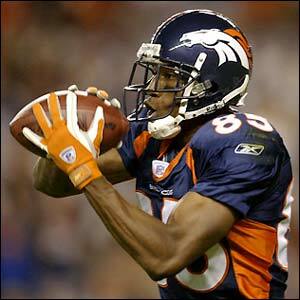 The team signed former Broncos and 49’ers WR Ashley Lelie, a former first-round pick of the Broncos back in 2002. His best season came back in 2004, when with Denver he caught 54 passes for 1,084 yards and seven touchdowns while starting all 16 regular-season games. He held out the final year of his rookie deal and went to the Falcons, where he was a bust before heading to San Fran, where he also did not play well. The team is also going to be talking to former Pats WR Chad Jackson tomorrow. He was cut by the Pats on Saturday, and was not claimed off waivers today, meaning that he is a free agent. ESPN reports that the team was thinking about claiming Jackson, but instead will try to sign him for a cheaper price.